Ancient manufacturing, which arrive from the Middle Ages to our present days thanks to the passion of four generations of women. We discuss this with Marta Cucchia by Atelier Giuditta Brozzetti in Perugia, Italy. “I have always had a predisposition for craftworks. After the humanities and 4 years of apprenticeship, in 1997 I opened my company from scratch. 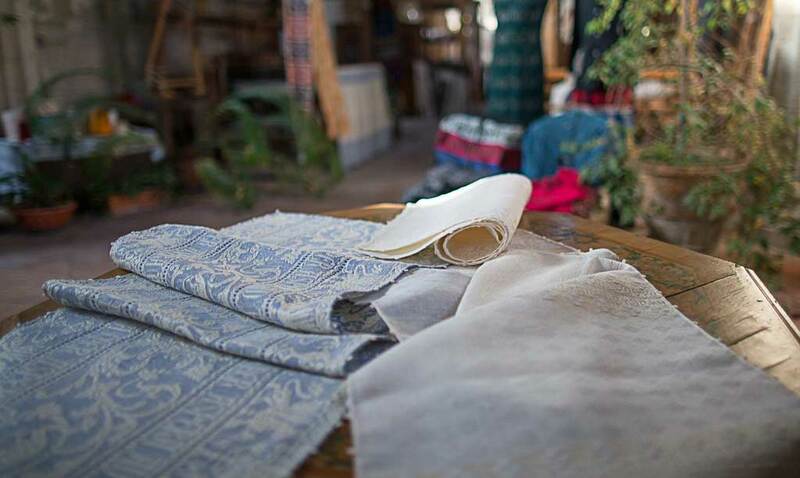 The workshop was established by my great-grandmother Giuditta Brozzetti in 1921; during World War I she discovered that in the state capital countryside women retained and used ancient textile techniques. 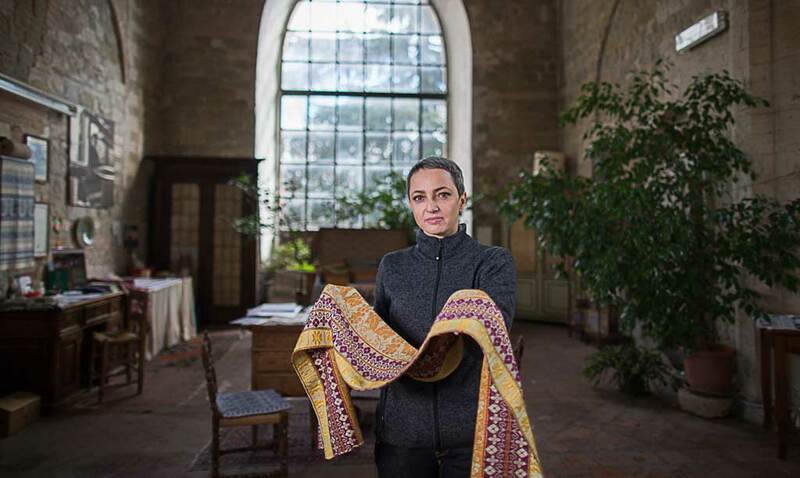 After the return of veterans from the front, she decided to open a business drawing on the glorious Umbrian textile tradition, then move on from mother to daughter to me, which I represent the fourth generation. Since 1995, I manage the workshop and, like any woman of the family, I have modified the production according to my character and my tastes. I am an interior designer and I love to create new stylistic and chromatic combinations. Today, more than ninety years after its founding, we manufacture the typical Umbrian fabrics with medieval and nineteenth-century techniques, yet; but to them I approached an eclectic production line for furniture, specifically designed for each customer. I think for me, as for many women, weaving is rooted in the ancestral memory. The see your article grow up every day is a source of great satisfaction, because while you finish an item you already have in mind the next project. In our workshop, we prefer two textile techniques: the typical pedal looms used by the farmers to realize the fabrics for domestic needs until the early years of the twentieth century, and the most ‘modern’ Jacquard looms (patent Vincenzi, 1836). 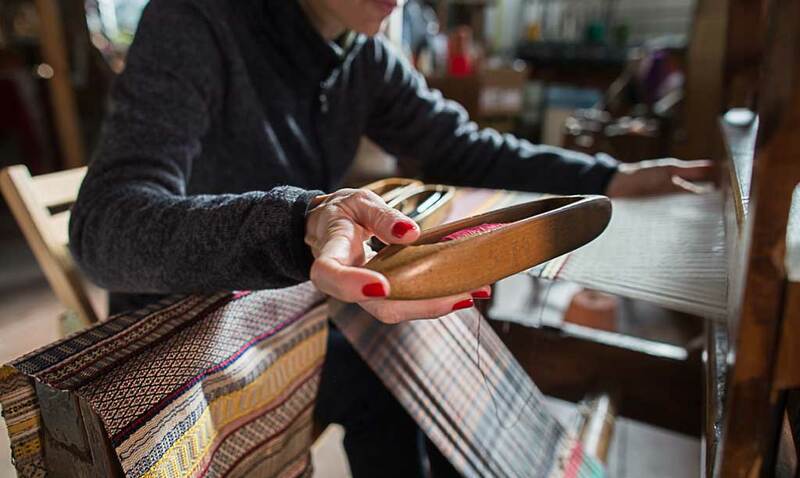 In Umbria, the textile tradition possesses ancient roots; in fact, since the Middle Ages, the production of the beautiful “tavole (tablecloths) perugine” made us famous throughout Europe. In the early twentieth century, in the wake of the historical revival, many activities were born in our Region with the intent to revive the textile arts and finally give financial independence to women. One of the merits of my great-grandmother was certainly to have laid the foundation for a passionate iconographic research that gradually involved the various generations of female entrepreneurs. 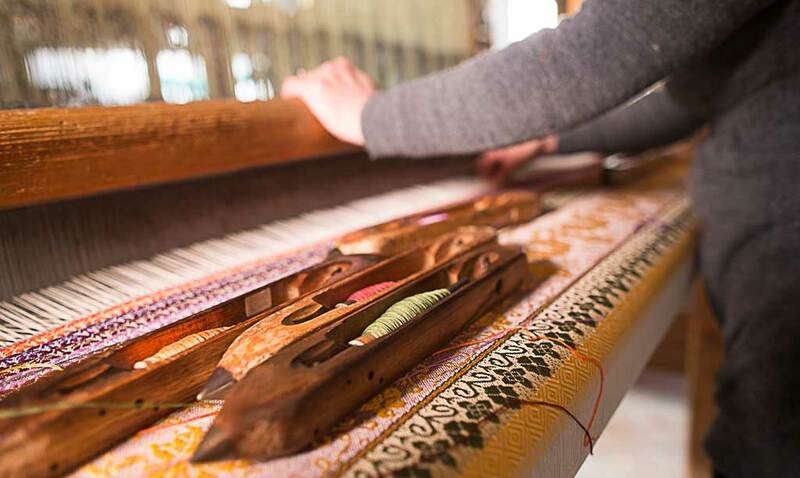 Unfortunately, today are active only 2 hand-weaving workshops (us, and ‘Tela Umbra’ in Città di Castello), but many cultural associations and embroidery schools transmit and retain the other regional typical techniques. Obviously, our fans represent a niche: only people with a special sensitivity and love of beauty decide to buy a product made entirely by hand. Today, be an artisan is a real mission; you will encounter many difficulties, but at the same time, you are rewarded by the great satisfaction of manually create a different project each time. Our atelier is small-sized, is composed by two weavers and me. Very few if you think that when my great-grandmother opened the workshop it counted 35 weavers! 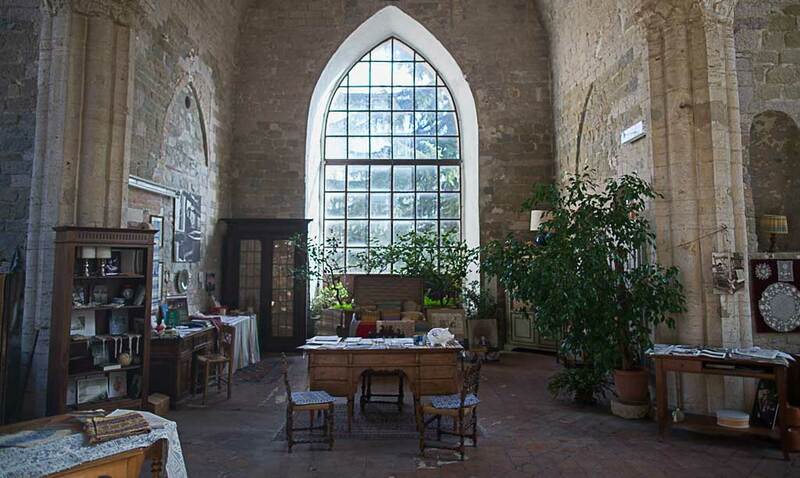 In 2005 the workshop is became part of the Museum System of the Umbria Region. I think that turn activities with a strong cultural value into museum is the only way to don’t lose a significant portion of the Italian tradition. Monday through Friday, I guarantee the opening from 8.30 to 12.30 and from 15.00 to 18.00. On Saturdays, Sundays and public holidays, I only open by appointment for guided tours.